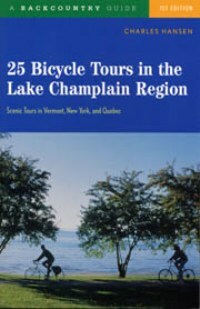 25 Bicycle Tours in the Lake Champlain Region, by Charles Hansen, 2004. Scenic road tours in Vermont, New York and Quebec. Description, map and mileage log for each ride. 240 pp., 5 3/8" x 8 1/4".